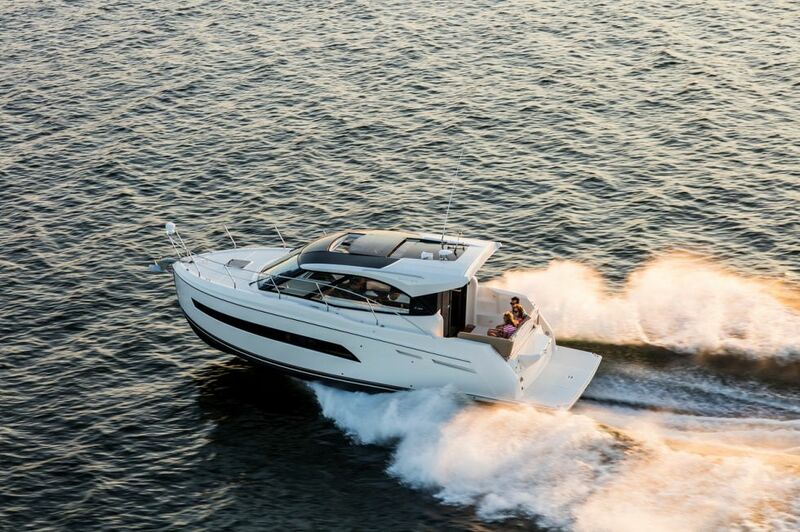 Turning heads is easy when you make waves. 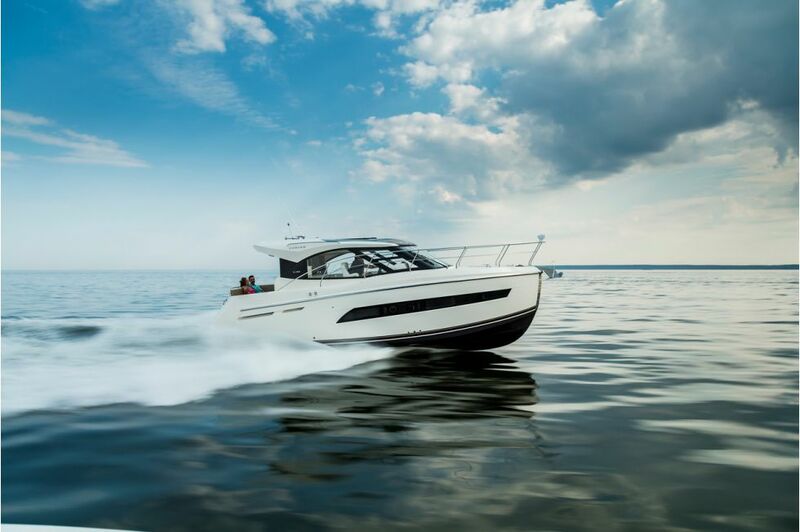 The new Carver C34 Coupe was designed for a new generation of boaters. 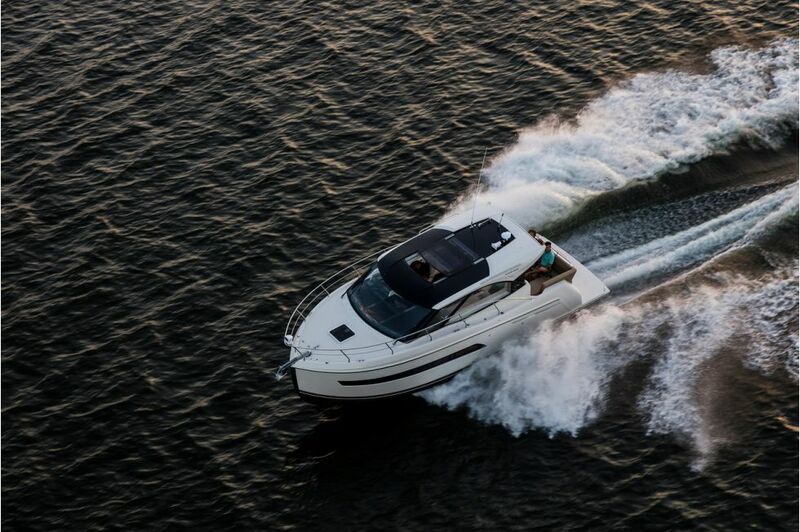 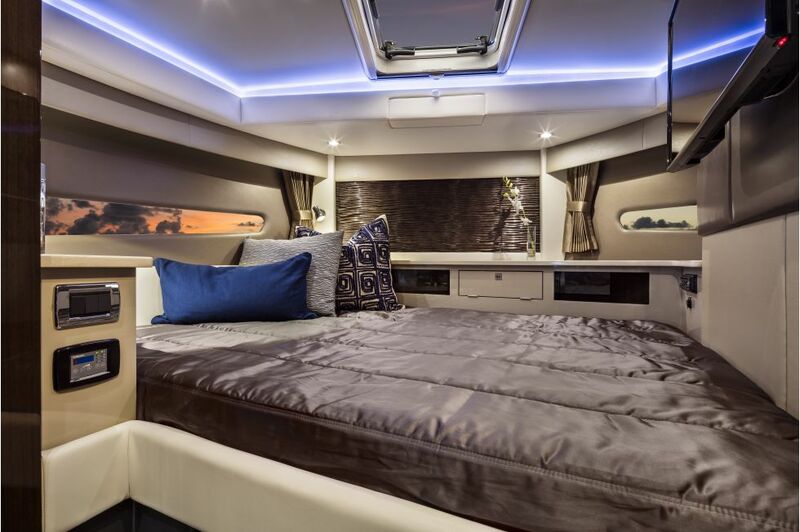 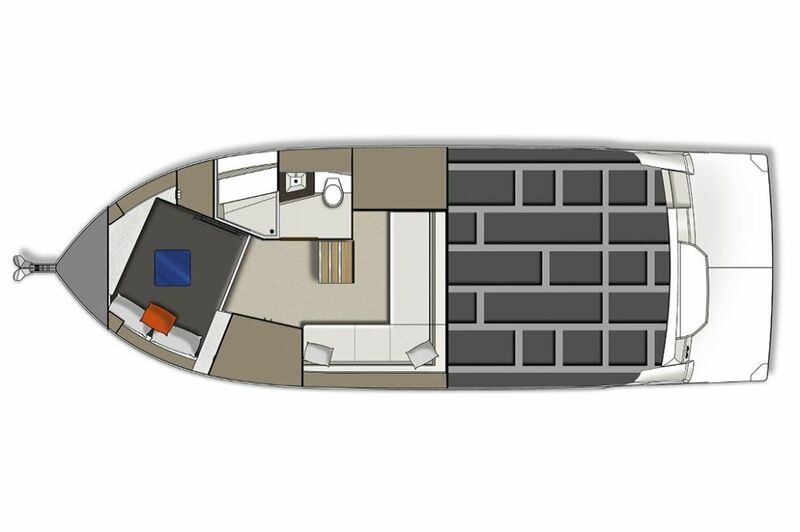 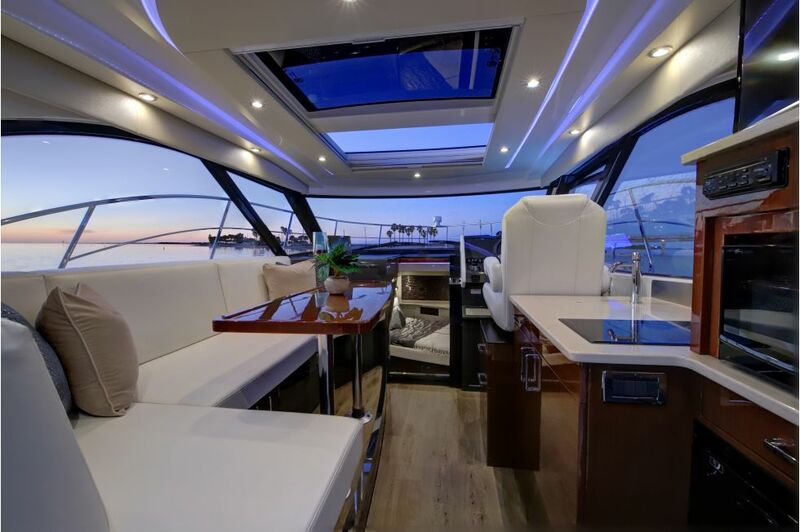 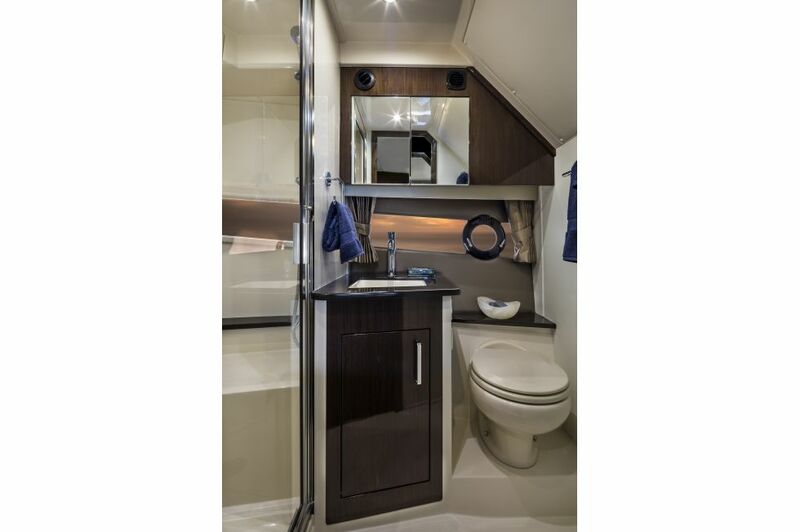 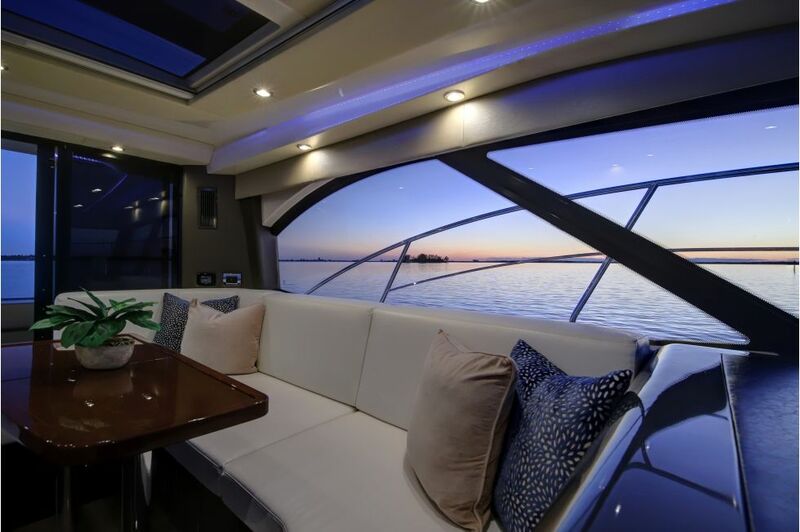 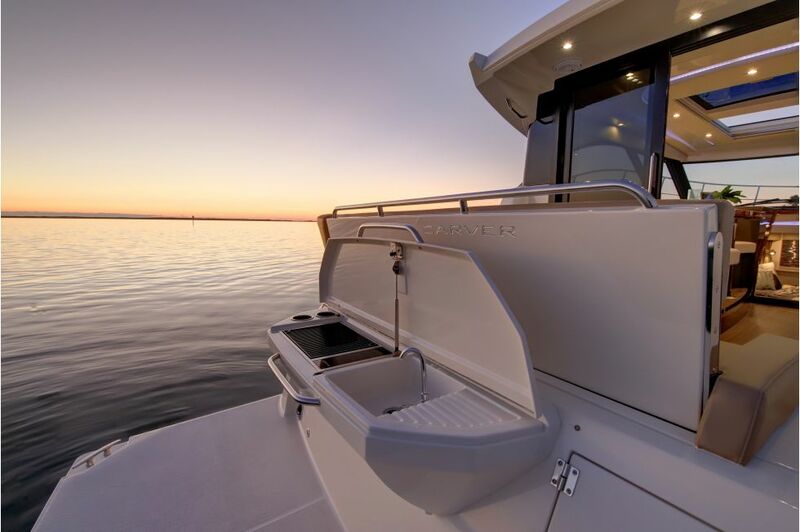 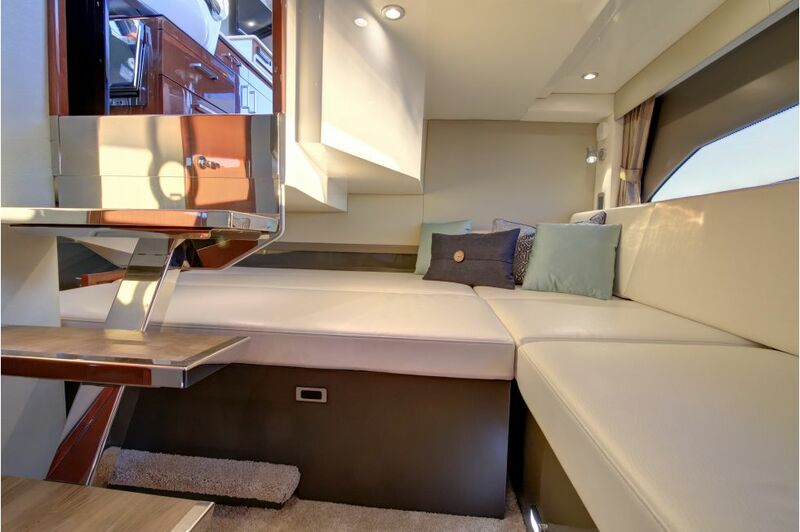 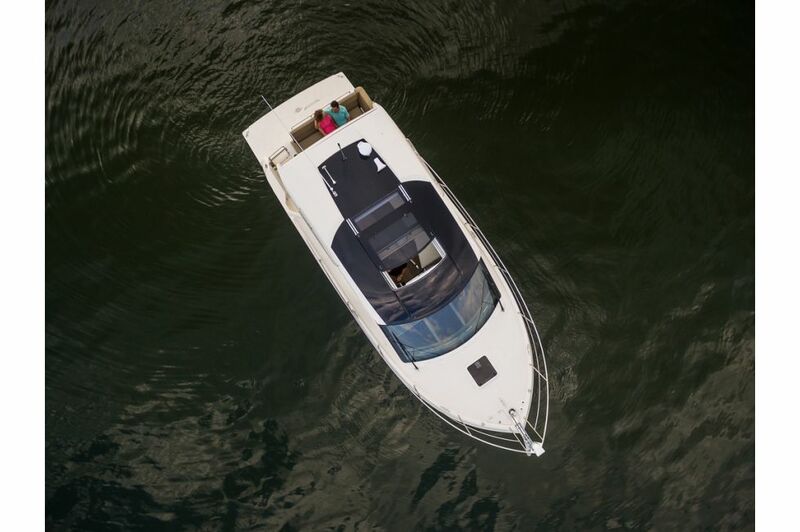 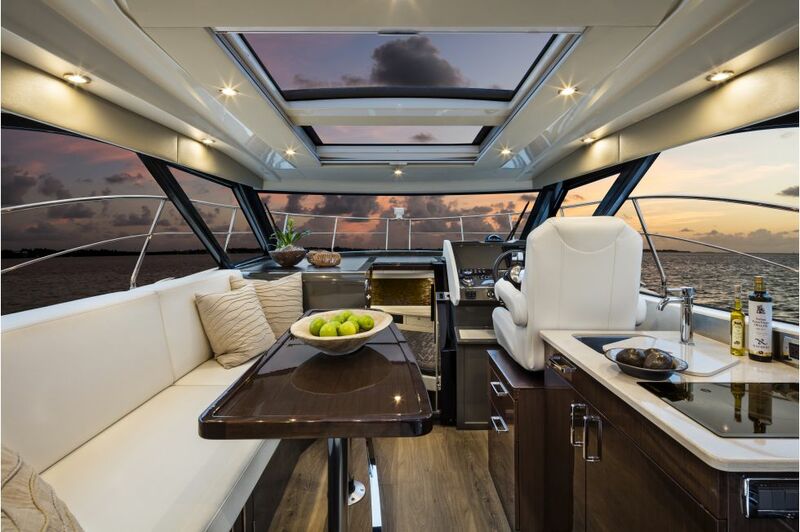 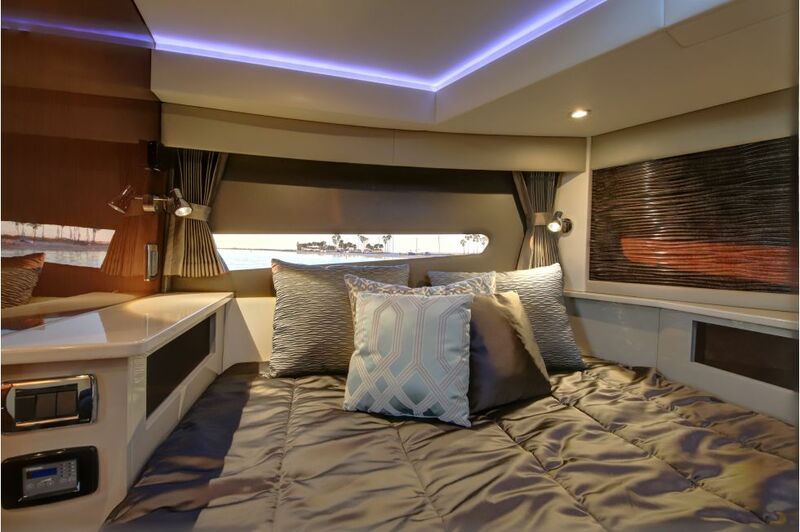 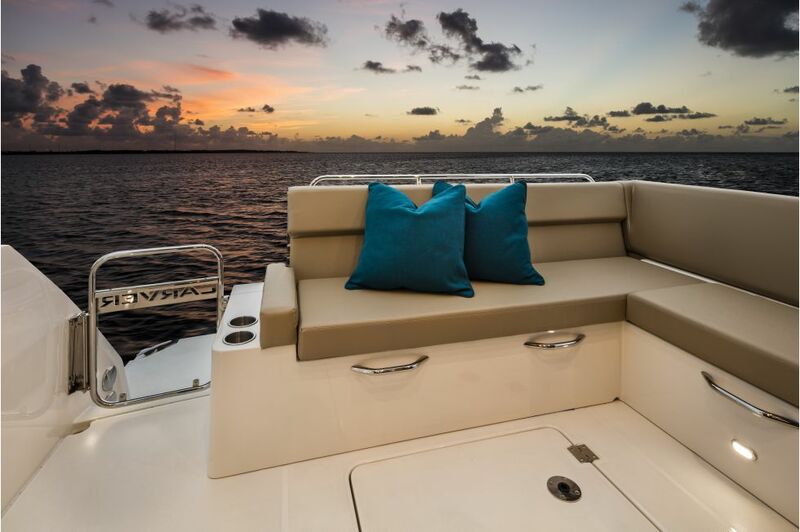 Boaters who want bold styling, an expansive interior layout, plus renowned Carver comfort and seaworthiness. 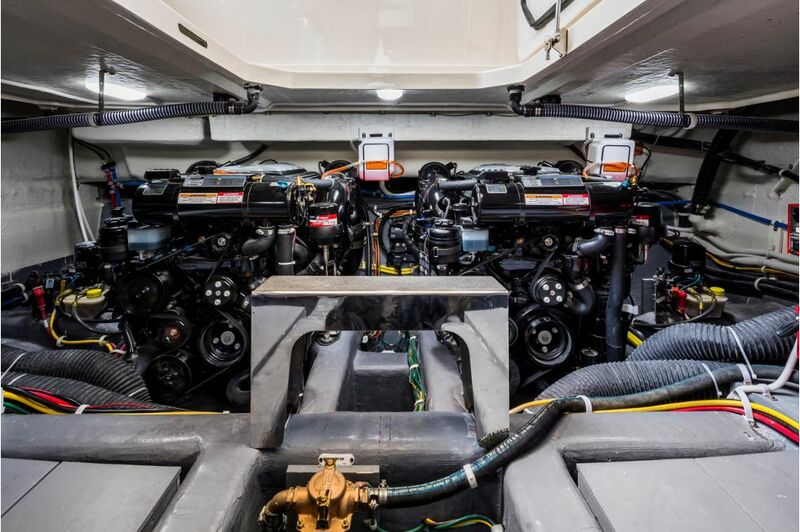 All in a compact package that’s easy to handle and offers outstanding performance. 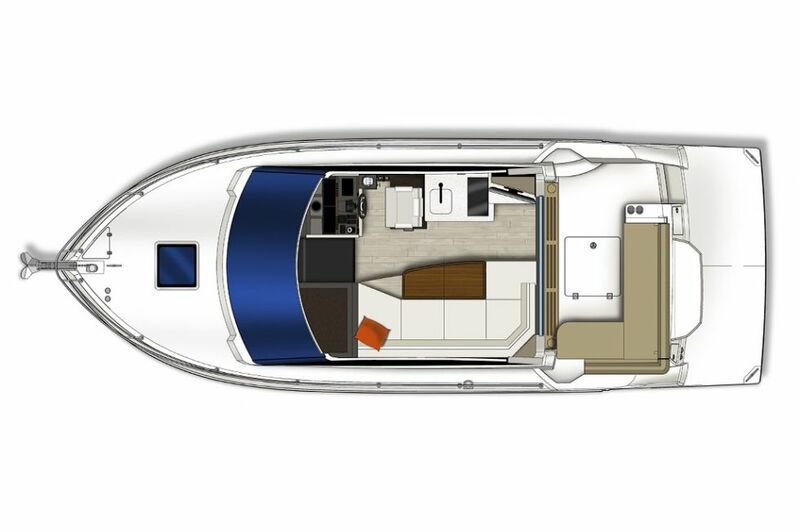 No wonder the new C34 Coupe is attracting a whole lot of attention. 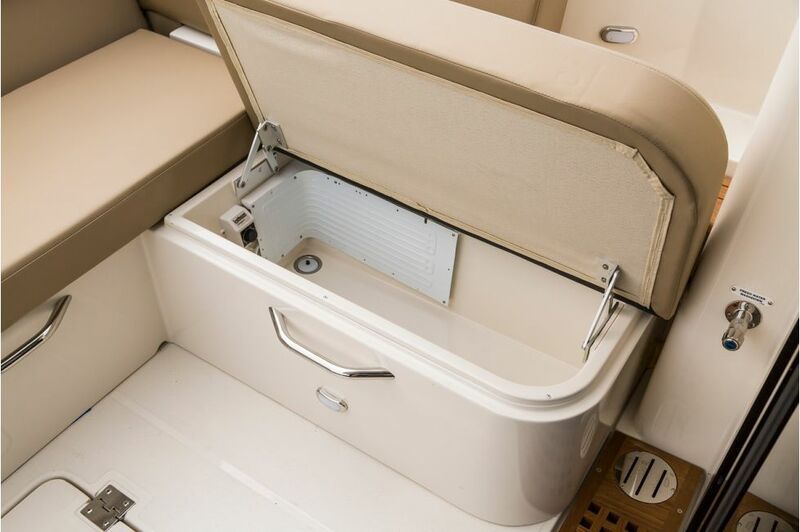 Hull bottom: Surface beneath the water line is bead blasted to create an optimal bonding surface for the anti-fouling paint, which is sprayed onto the hull to create a smooth running bottom. 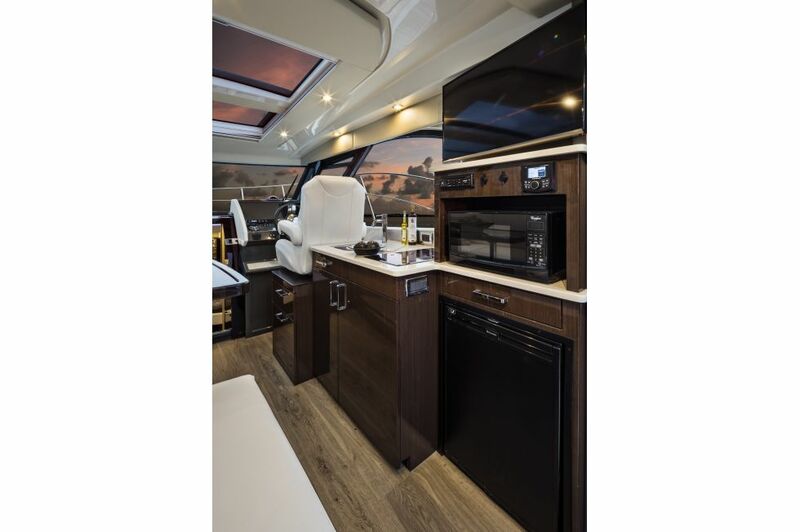 Interior bulkheads, cabinets and drawers are precision cut, hand-crafted and constructed from a selection of woods and high-pressure laminates. 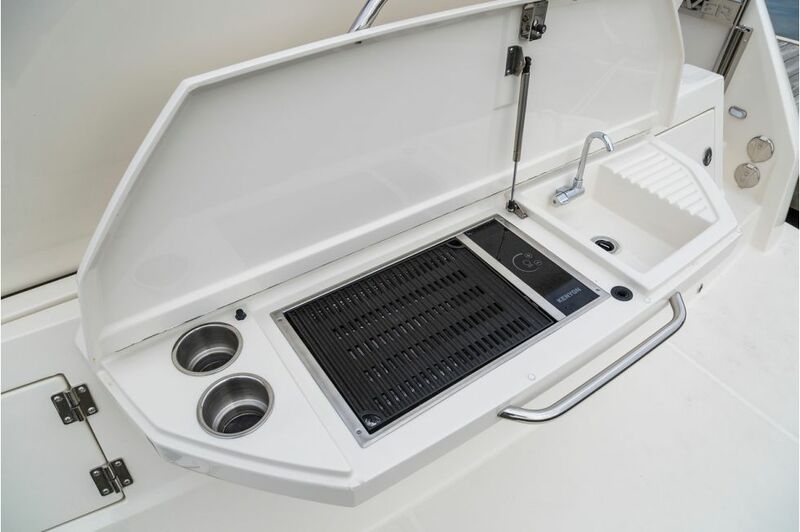 Drawers are lined with laminate.